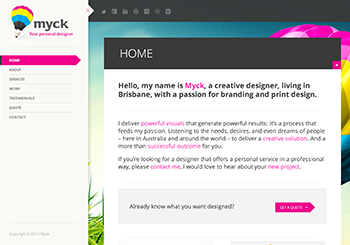 Myck is a creative designer from Brisbane with a passion for branding and print design. Delivering powerful visuals that generate powerful results. Listening to the needs, desires, and even dreams of people – here in Australia and around the world – to deliver a creative solution. And a more than successful outcome for you.